​ No matter what country you are from your donation will make a difference - both these organisations have strong global research programmes. No amount is too small ........................ and no amount is too large!! For a donation of $250 you can become a CLUB 50 member and have one day of our ride dedicated to you or your business! Through the Cystic Fibrosis Foundation's efforts, the life expectancy of people with cystic fibrosis has doubled in the past 30 years and research to find a cure is more promising than ever. The 2014-2018 Strategic Plan Report, Our Commitment to a Cure, describes the Foundation's updated mission and identifies six new and immediate priorities -- or strategies -- that will move us forward. ​Our mission is a bold one: To increase five-year survival to 50% by 2023. How we will succeed: At Cure Brain Cancer we recognise that to solve a complex problem like brain cancer we need to do things differently; to think laterally and find smarter solutions that allow us to make breakthroughs much faster than traditional research methods allow. Increasing collaboration across disciplines, teams and borders. We are leveraging discoveries made in areas that share common problems: other cancers, neuroscience, genomics, bioinformatics, epidemiology, immunology and nanotechnology. 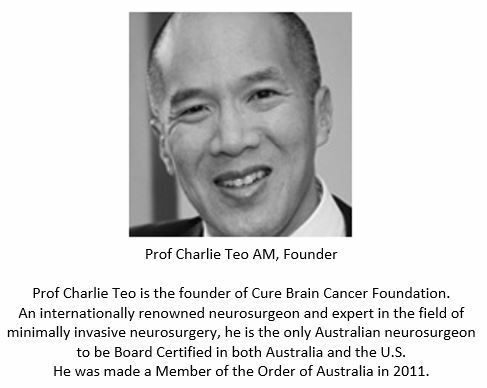 We help fund the Brain Cancer Discovery Collaborative across Australia and were responsible for co-establishing the Global Brain Exchange internationally, with partners from the US, Europe and China. We are working with like-minded partners globally to achieve our mission. ​Thanks for visiting my site! !